International Swear Words to Love and Use: Jane Austen Style! Never again will you deem Jane Austen’s novels as timid, barely tolerable content. Now sod off, you wankers! To show my esteem for Jane Austen’s 240th birthday, I will teach you how to loathe, abominate, and detest someone with the language of her day. No need to Google it–her birthday is December 16, 1775. When reading any of Miss Austen’s novels, you’ll discover a most delightful trend: well-worded insults. Regency-era slings and arrows populate her pages with great glee. That’s not to say these words are profane. 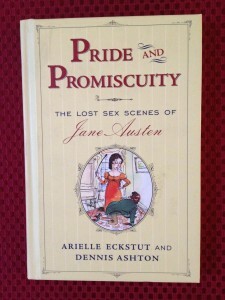 Austen was too clever a writer to stoop as low as my (oftentimes in private) potty mouth. Consider using Austen’s “swear words” when dealing with the people you’d rather not. I guarantee you’ll simultaneously dumbfound and denigrate them with genteel verve. “A Great Talker Upon Little Matters…”: This poisonous dart comes in handy when profiling a professional chatterbox at a networking event (or cattle-call conference) from…Hades. The target of the narrator’s wicked barb in Emma is Miss Bates. In Austen’s tale of matchmaking errors, Miss Bates is the middle-aged, poor-spinster yin to Emma Woodhouse‘s condescending yang. Miss Bates does actually understand more than you’re led to believe by the author. However, her excessive repetition of minutia is what sets her up as this novel’s comic foil. Apply this disparaging comment to the modern-day version of any Miss Bates who plucks at your already-frayed nerves. Just be sure you say it in private to another annoyed business peep. Yes, Mr. Fitzwilliam Darcy’s ungentlemanly hammer all but nails the coffin shut. It’s as if Jane Austen foresaw the dark side of 21st-century business dynamics! Mr. Darcy spills his derogatory sentiment during his first marriage proposal to Pride and Prejudice‘s heroine, the quick-witted Elizabeth (Lizzy) Bennet. “…I Have the Highest Opinion in the World of Your Excellent Judgement in All Matters Within the Scope of Your Understanding.”: I do realize Jane Austen penned six complete novels. I’m pulling multiple examples from Pride and Prejudice because it’s an endless source of sophisticated humor. This flaming arrow, directed at feisty Lizzy Bennet, is launched by a man whose lack of filter and patronizing ways create most of the book’s comic relief: William Collins. Alas, poor Mr. Collins. 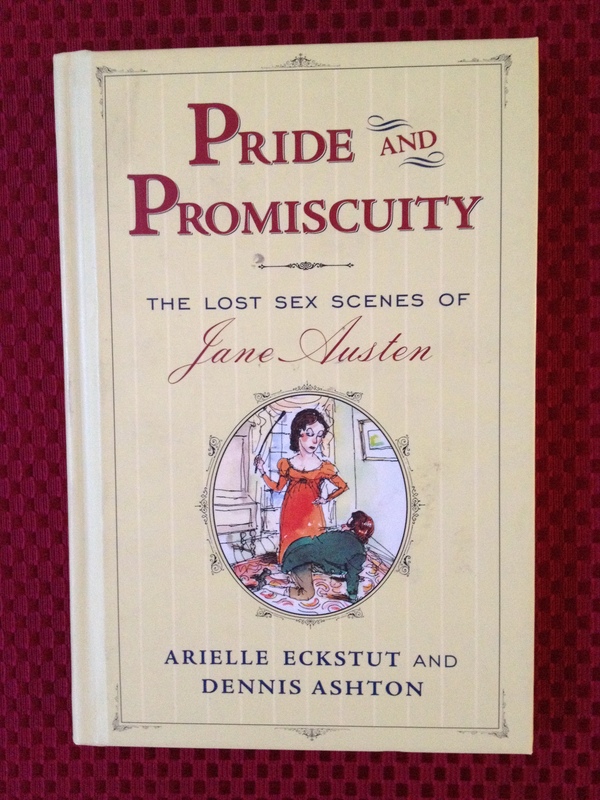 Perhaps you’ve seen either the 1995 BBC serial version of Pride and Prejudice or the 2005 large-screen version. If so, you’ll remember Mr. Collins as the equivalent of a modern-day PSA for why heterosexual women should stay single. Mr. Collins shoots down Lizzy’s good advice not to approach the prideful (or is he prejudiced?) Mr. Darcy during the Netherfield Hall ball. The result is not in Mr. Collins’s favor. “If There Is Any Thing Disagreeable Going On, Men Are Always Sure to Get Out of It.” This snappy gem condemns England’s entire male population, circa 1816-18. And it’s just one droplet from the fountain of sulkiness that is Anne Elliot‘s younger sister in Persuasion: Mary (Elliot) Musgrove. Mary chastises her husband, Charles Musgrove, after he exclaims his uselessness regarding his injured son (Charles Jr.) and exits, stage right, in preparation to visit his father. “She Is Tolerable; But Not Handsome Enough to Tempt Me…”: This cold slap in the face, courtesy of Pride and Prejudice‘s Mr. Darcy, can be used as an affront toward either gender. He declares it to his guy pal, Charles Bingley, when they first make the acquaintance of two particular sisters at the Meryton assembly ball: Jane Bennet (Bingley’s future wife) and the aforementioned Lizzy (um, yeah–Darcy’s future wife). Do you intend to party like it’s 1999 during December’s holiday gatherings? This is how you shoot down a friend’s recommendation to connect with a potential significant other standing across the room. “Whom Every Body Speaks Well of, and Nobody Cares About…”: A prominent male antagonist delivers this boldly barbed insult. His easy target is a central male protagonist. They happen to be rivals for Miss Marianne Dashwood‘s affection in Austen’s Sense and Sensibility. John Willoughby, the “insultor,” is young and handsome. He understands Marianne’s desire to be wooed with wildflowers (rather than hothouse posies). Colonel Brandon, the “insultee,” is not as young, and not as handsome. However, he applies more sense than sensibility to his quiet pursuit of Marianne’s heart. Sadly, Willoughby does wrong by Marianne, which leads to her (eventual) marital bliss with Colonel Brandon. Miss Austen might encourage this type of mockery when it’s eminently appropriate. Be careful, though–it can boomerang back on you. Tell me true: Were you disappointed this edition of “International Swear Words to Love and Use” offered ingenious insults instead of actual profanity? Might you wield one of Miss Austen’s literary daggers during your next conversation with an annoying business acquaintance? If you’ve not read even one Jane Austen novel in your lifetime, what is the probability you’ll do so now? Dear Miss Jane Austen: f-bomb salutations on the occasion of your 240th birthday! International Swear Words to Love and Use: Weather Style! International Swear Words to Love and Use: Inuit, Yupik, and Aleut Style! International Swear Words to Love and Use: Colonial Style! International Swear Words to Love and Use: Medieval Style!